I don't know about you, but when I go into the office, I have a pretty limited range on what I can wear. Business casual. Now, for women, that is certainly much more liberal than men's choices, but still - I couldn't walk in the office in one of these outfits. 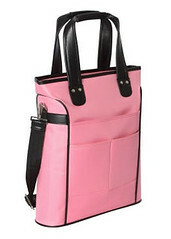 The Nuo Laptop Satchel is a true fashion bag. 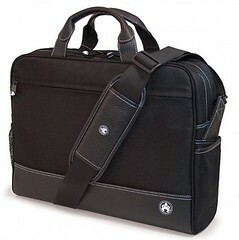 If I were sitting in a director's chair on the Project Runway set, I'd say things like: it has a sleek silhouette and elegant lines; the faux leather detailing and the hardware are appropriate for the design; the stitching is well executed; it does not seem like a mother-of-the-bride laptop bag. OK, the print. I hear Michael Kors in my head saying "That's a lot of print!" (why is Michael Kors spending so much time in my head?) And sure - it IS a lot of print. But step back a second - the abstract floral print is bold, feminine and sophisticated. 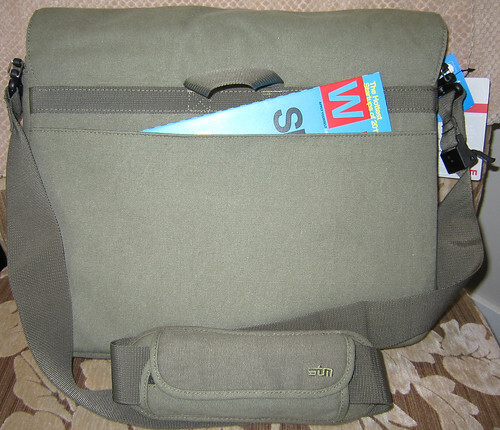 The pattern has a smart colour scheme: the brown, black, red and blue in the design are going to allow me to coordinate the bag with whatever I'm wearing. I can definitely "make it work!" 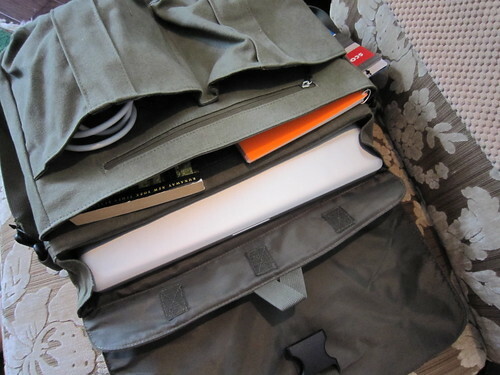 Read the rest of my Chloe Dao Laptop Satchel review (and see some internal shots of the bag) over at Squidoo. 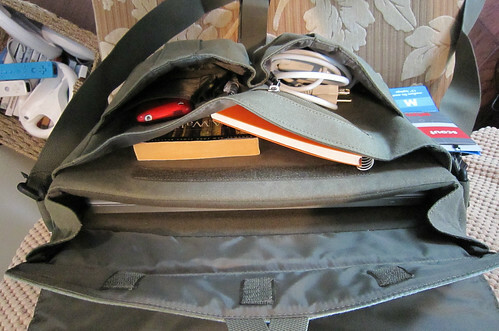 And once you've read the review, you can use the code FUNCHICO at checkout at Kolobags for a 10% discount!